This week has been a week full of things to be happy about. Monday saw a day of green for St. Patrick’s Day which is also my sisters birthday, plenty of cake and presents all round there. Today, today is Olivia’s 8th birthday. She has been so excited all week, well month I should say, and was up at the ungodly hour of 5am this morning! She has been quite spoilt and is more than pleased with her haul of goodies. Tonight’s plans changed and have gone from cinema and Pizza Hut to watching 1 if not all of the 4 Monster High films she got today with 2 of her cousins and her best friend. With me cooking the pizzas and supplying as much junk food as they can possibly eat (providing I don’t first that is). Tomorrow we are heading off to Manchester to go to the Legoland Discovery Centre in the Trafford Centre with one of my sisters which we are both really excited for as I haven’t been before. So all in all a good week really for me focussing on the good and having lots of fun. Wow, great week for celebrations then! Your #WotW certainly fits the bill! 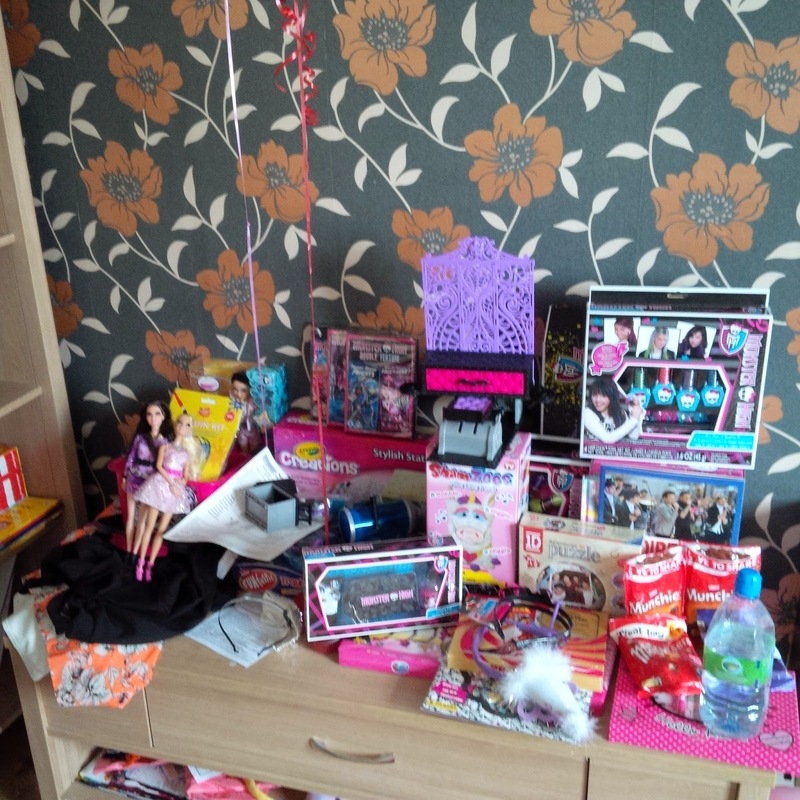 Thank you she done really well this year, my fault for not keeping track of what I bought and reigning her aunties in! I will put a post up about Legoland, Olivia has been before but I haven't so I can't wait either. That just sounds like an amazing week – and what a birthday haul. I look forward to hearing about the Lego discovery centre – my boy is lego mad and that sounds fab.